CraneWerks’ electric and manual chain hoist remanufacture services restores your hoist to near original condition while saving you important maintenance dollars over simply replacing an existing hoist. 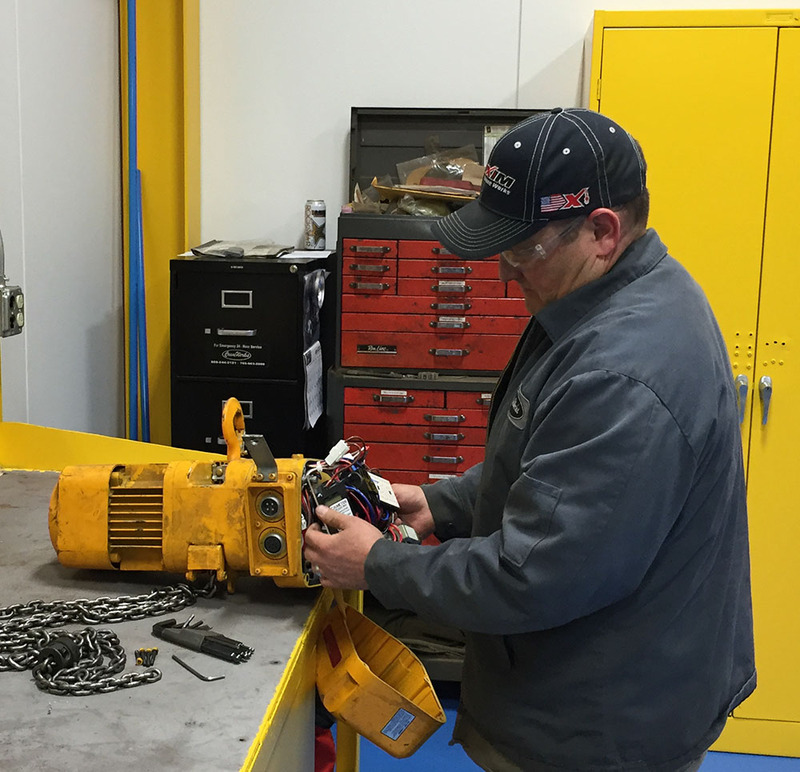 With a CraneWerks one year warranty against defects in parts and craftsmanship, chain hoist remanufacturing makes sense for budget conscious maintenance departments and businesses. 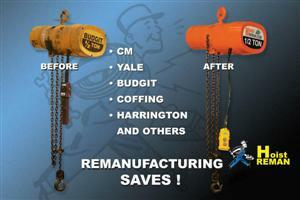 Remanufactured chain hoists are less expensive than new hoists by more than 35% in most cases. Save down time by replacing worn items before they fail. 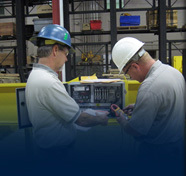 With a CraneWerks one year warranty against defects in parts and craftsmanship, hoist repair makes sense for budget conscious maintenance departments and businesses. Within 24 hours you will receive our quote for remanufacturing and the price of a new hoist, when applicable, for your cost comparison convenience. We will complete the repair and return the hoist to you in about a week*. 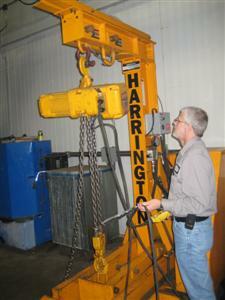 We will ship the new chain hoist within a week* and recycle your old hoist to cover our associated tear down costs. We can either recycle the hoist to cover our associated tear down costs or return your hoist to you for a small teardown fee. *Shipping times are estimated and may vary due to hoist and parts availability. 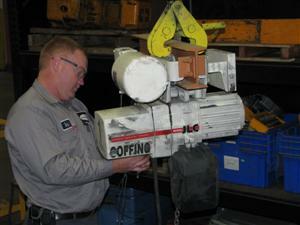 Fill out the Hoist Reman RFQ and we will send you an RMA number. Use the RMA number on your packing slip and ship your chain hoist to CraneWerks. Feel free to call our office if you have any questions at 888-544-2121.